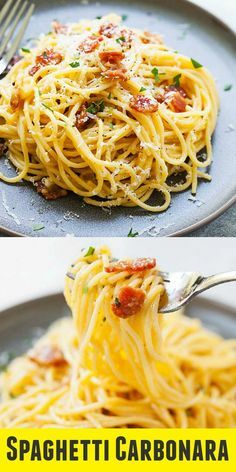 Spaghetti Carbonara – proper and authentic recipe how to make Spaghetti alla Carbonara. This Roman Pasta Carbonara is rich, creamy, with every strand coated in cheese and eggs. So delicious | easyweeknight.com @easyweeknight #dinner #pasta – 1 freebie(s)? Photography: Lighting – 1 freebie(s)? Coconut Chutney Recipe | South Indian Coconut Chutney – 1 freebie(s)? Flower Pot Cookies – 1 freebie(s)? English Breakfast in a Pie – 1 freebie(s)? Lemon Ricotta Pie – 1 freebie(s)?